Homemade Buckwheat Crepes (gluten-free) - What's In The Pan? 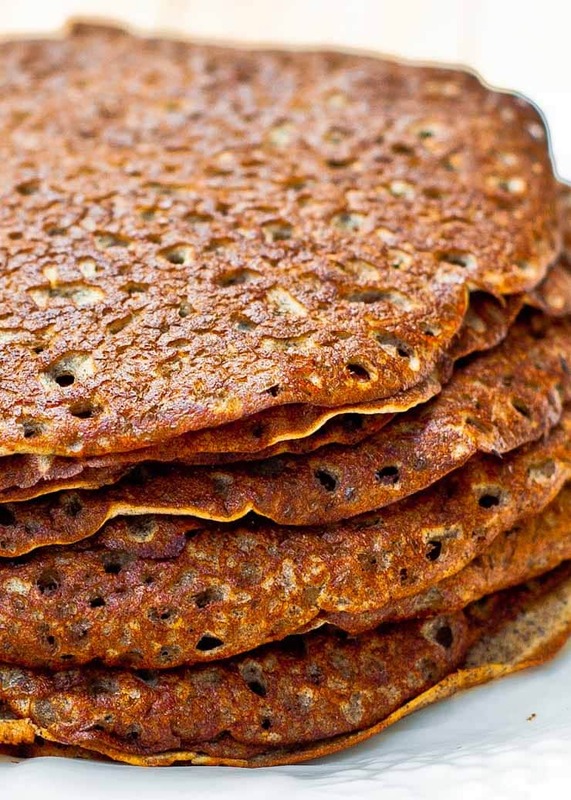 These homemade Buckwheat Crepes are gluten free and grain free! They have the classic eggy flavor you’d expect from these thin and delicious pancakes. Soft, buttery, delicious, and infinitely versatile as a sweet or savory option for breakfast, brunch, lunch, dinner or dessert! I love a good batch of gluten free Buckwheat Crepes or its fluffy texture, but there’s something about the flavor and eggy texture of crepes that’s SO GOOD. I first fell in love with crepes while visiting Paris, where a bunch of stores pop up every where you turn around the city. They sold them with a variety of delicious fillings: strawberry and cream cheese, pear and chocolate drizzle, and many others. And always paired with a glass of wine! Not a cup of tea, or coffee. Wine! I couldn’t believe that these places sold only crepes accompanied by red wine, but once I saw the menu, I realized how many different ways you can prepare them. I personally never enjoyed a “regular” pancake and never regularly had one until I started making gluten free buckwheat pancakes. Eat them on their own, with a simple dusting of sugar and some berries, or drench them in various sweet sauces, filled with Nutella, or even go completely savory, stuffed with spinach and cream cheese. They’re so versatile! As a bonus, homemade buckwheat crepes are ridiculously easy to make, and difficult to mess up. 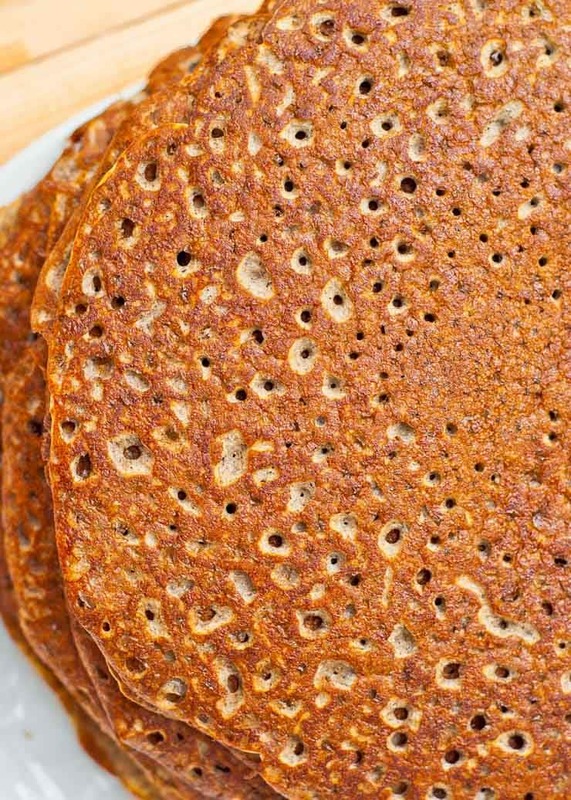 Buckwheat flour crepes are traditionally savory. These are naturally gluten free, and have a nutty flavor because of the buckwheat flour. 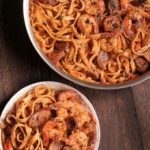 They are typically served for lunch or dinner, but they also work just as well for breakfast/brunch too. Savory crepes can be filled with savory fillings like bacon, ham, cheese, mushrooms, herbs and other types of meat filling too. Sweet buckwheat crepes are usually slightly sweetened with sugar. These are perfect for breakfast or dessert. These sweet crepes are typically served with powdered sugar, fruits, chocolate, whipped cream, or even ice cream. Having said that, I grew up eating savory crepes that my mom made with regular wheat flour. So you can use either type of flour to make sweet or savory crepes. It’s all about flavor and what you prefer at the end of the day! Personally, I prefer buckwheat flour crepes over regular flour cremes. There is something about their amazing texture and the crisp on the outside of the pancake that makes them taste a lot more substantial than a regular pancake. Even if you haven’t made buckwheat crepes before, I’m sure you’ve heard of them. They’re the French cousin of the pancake, known for their paper-thin texture and versatility. These gluten free crepes require only a handful of ingredients that you probably already have in your pantry: Buckwheat flour, salt, eggs, milk, and butter. Making them is super simple. First, you will sift the dry ingredients. Then make a well in the dry ingredients and whisk your wet ingredients. Now warm a skillet and cook a small amount of batter, flip, and serve. Easy, isn’t it? Use a whisk to whisk the crepe batter, or you can use a blender too. If you’re using a whisk, mix the buckwheat flour with about half of the milk to create a smooth thick paste. Then add the rest of the liquid and mix it in, to make a smooth pancake batter. And for perfect results, I recommend leaving the crepe batter to rest for a little while in a fridge. Although you can buy a special pan for making crepes, all you really need is a large non-stick skillet! You will heat it over medium heat. Grease the pan lightly and add about 1/4 cup of batter, swirling it around the pan to form a large, thin pancakes. Cook for 30 seconds or so on each side, flipping once, until lightly golden. This quick cooking time allows the crepes to be soft and buttery, without drying out. What kind of pan should I use for my crepes? While there are fancy crepe pans in the market, you don’t need an expensive crepe pan to make perfect basic crepes. 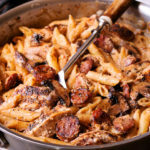 A regular non-stick pan works just as well. You can use a cast iron or carbon steel skillet or pan to make the crepes as well, just make sure that you butter the pan well so that the crepes don’t stick. If you’re new to making crepes, a regular non-stick pan is the best option. In this recipe I used a 10 inch pan to make 10 inch crepes. 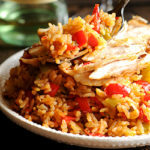 But you can also use an 8 inch or 12 inch pan as well, depending on what you have at hand. These amazing crepes taste great hot off the skillet. You should them serve warm and dusted with powdered sugar. You can also roll them around a whipped cream filling, or serve them with fresh strawberries. How about drizzling them with chocolate? And if you still have room in your tummy, how about these gluten-free double-chocolate Buckwheat cookies? 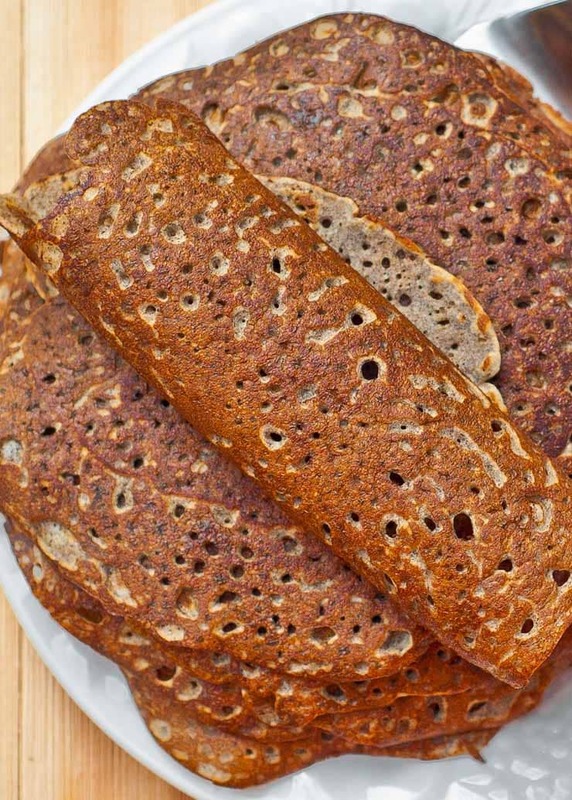 Buckwheat pancakes are easy to make and dreamy to eat – we love the robust flavor of buckwheat. Just mix, griddle, and breakfast is served! 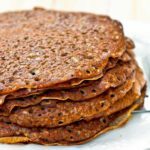 These homemade Buckwheat Crepes are gluten free and grain free They have the classic eggy flavor you’d expect from these thin and delicious pancakes. Soft, buttery, delicious, and infinitely versatile as a sweet or savory option for breakfast, brunch, lunch, dinner or dessert! Add eggs, milk, soda, sea salt, sugar, and melted butter to a bowl and whisk for a few seconds. Add buckwheat flour and continue whisking until smooth. The mixture will be runny. Refrigerate batter for 30 minutes. Heat a large non-stick skillet to medium heat. When skillet is hot, lightly grease it with a little butter or cooking spray. 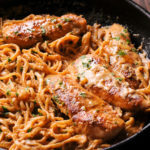 Hold the handle of the skillet and as you pour a few tablespoons of batter in, tilt the skillet around in a circular motion to allow the batter to evenly coat the bottom of the pan, in a thin layer. Cook for 30 seconds-1 minutes or until the edges of the crepe curl slightly and the bottom of the crepe is lightly golden. Flip to the other side and cook for another 30 seconds. Adjust your heat between medium-medium high while your crepes are cooking in about 30 seconds on each side. Re-grease your pan every few crepes, as needed. Remove crepe to a plate. Add more crepes to the plate as you cook them, and cover the plate with tinfoil to keep them warm.